Resistance of the respiratory airways signifies the amount of pressure required to generate a given airway flow. Airway resistance varies within and between inspiration and expiration and changes with lung disease and lung volume. In practical terms, an increased resistance means that an increased pressure is needed to generate the same flow, and hence increased airway resistance will demand more respiratory muscle activation, i.e., increased diaphragm electrical activation, to increase pressure. If an increase in resistance is not accompanied by a sufficient increase in inspiratory muscle activity and pressure generation, inspiratory flow will decrease. This suggests that, if flow is to be defended, increased inspiratory resistance must result in an increased neural drive to breathe. Thus one can anticipate that the larger the inspiratory resistance, the larger the increase in neural inspiratory drive, if the original breathing pattern is to be maintained. Fig. 2. Influence of increased resistive and elastic loads in a healthy subject breathing with neurally adjusted ventilatory assist (NAVA). 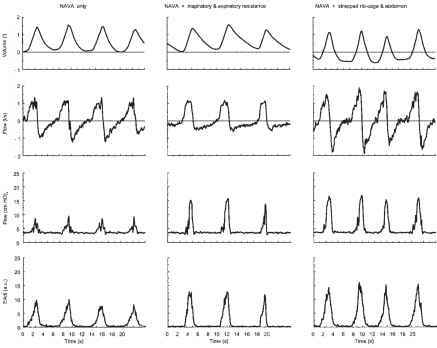 From top to bottom, panels show: volume, flow, airway pressure (Paw), and diaphragm electrical activity (EAdi). Left panels: unrestricted breathing with NAVA. Middle panels: same subject breathing on NAVA through an inspiratory/expiratory airflow resistance (inserted between ventilator circuit and mouthpiece). Right panels: the same subject breathing on NAVA when having ribcage and abdomen strapped with elastic bandage. The gain level for NAVA is the same during all conditions. ratory resistive load. The addition of flow resistance increased the diaphragm electrical activity, which in turn increased the applied pressure to the airways (Paw) such that flow and volume could remain relatively unaltered. Consequently, without a need for quantifying the actual resistive load, the required assist is automatically delivered with NAVA. If the increased load is large and continuous, the gain factor for NAVA, which maybe too low to fully compensate for the increased load, may need to be increased. Elastance of the respiratory system denotes the pressure required to produce a given change in lung volume. Similar to airway resistance, respiratory system elastance varies between inspiration and expiration and changes with chest wall/lung disease and elastic recoil increases with increased lung volumes. To maintain breathing with a given tidal volume (Vt) and at the same end-expiratory lung volume in the presence of an increased elastic load, it is necessary to increase pressure generation and activation of the inspiratory muscles. 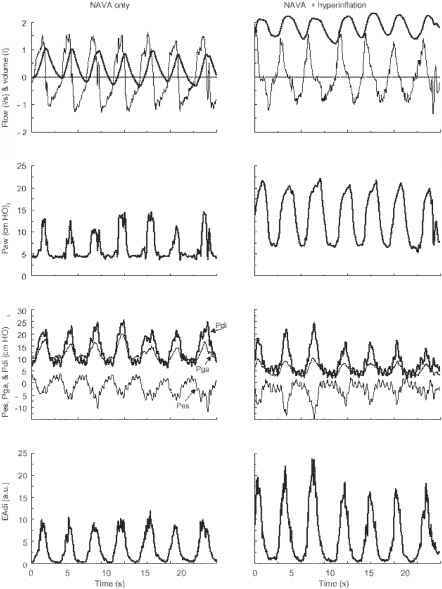 Figure 2 depicts a healthy subject breathing at rest on NAVA (left panels), and the response to an increased inspiratory elastic load (right panels). As illustrated in the two uppermost panels, inspiratory volume profiles are similar between periods where the subject is breathing with and without elastic load, whereas inspiratory flow is slightly increased. As a consequence of the added elastic load, diaphragm electrical activity increased, which caused the applied Paw to be increased by NAVA, such that more assist was delivered in the presence of the inspiratory elastic load. Similar to resistive loading, the required assist is automatically delivered with NAVA, without a need for quantifying the actual elastic load. Extra-pulmonary elastic and resistive loads (e.g., visco-elastic properties of the abdomen) will also be included in this neural control loop . Again, in the case that the increased load is large and continuous, there may be a need to adjust the gain settings of NAVA. Inspiratory muscle function depends on the neuro-mechanical coupling, the latter characterized by the force that a muscle can generate for a given (maximal or submaximal) neural activation. Any factor that alters the contractile properties of the muscle, e.g., altered lung volume influences the inspiratory muscle activation . For example, if breathing occurs at an increased end-expiratory lung volume and/or with increased VT, activation must be increased in order to maintain the same pressure output. Although this, in part, is due to increased respiratory system elastic recoil, more importantly it is due to impaired muscle function secondary to, e.g., an impaired length-tension relationship . Adding to the complexity, it should be noted that resistance is expected to decrease at elevated lung volumes, which may partially compensate for the demand of increased pressure and activation, caused by the weakness and the increased elastance. 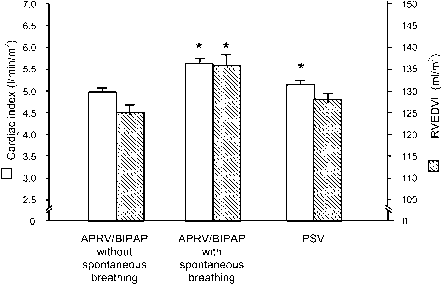 Figure 3 shows how a healthy subject breathing at rest on NAVA (left panels) responds to an increased end-expiratory lung volume (right panels). As depicted in the uppermost panels, the inspiratory volumes and flow profiles are similar between periods where the subject is breathing with and without an increase in end-expiratory lung volume. In response to hyperinflation, there was an increase in diaphragm electrical activity, which increased the Paw delivered by NAVA, while ventilation, esophageal pressure (Pes), gastric pressure (Pga), and transdiaphragmatic pressure (Pdi) remained relatively unchanged. This shows that NAVA, via intrinsic feedback loops, can automatically adjust ventilatory assist, whereas, with conventional ventilation, one would need to quantify the changes in elastance and resistance, as well as the weakness, in order to manually adjust the level of assist that is necessary to maintain the same breathing pattern. Fig. 3. Effect of increased end-expiratory lung volume (EELV) in a healthy subject breathing with neurally adjusted ventilatory assist (NAVA). Left panels show tidal breathing with NAVA and right panels showthe same subject breathing on NAVA when hyperinflated (achieved by actively trying to increase EELV by maintaining slight diaphragm activity during expiration and by applying external PEEP). The gain level for NAVA is the same during both conditions. From top to bottom, panels show: volume (thick line), flow (thin line), airway pressure (Paw), esophageal, gastric and transdiaphragmatic (Pes, Pga, Pdi) pressures, and diaphragm electrical activity (EAdi). PEEPi occurs when the expiratory time is shorter than the time needed to deflate the lung/chest wall to an elastic equilibrium point [9,10]. Consequently, the onset of airway pressure, flowand volume (detected at the airway opening),will not occur until inspiratory (pleural) pressure generation exceeds the PEEPi level, causing a delay relative to the neural onset of inspiration. PEEPi can be causedby both altered patient respiratory mechanics and inappropriate ventilator settings [10,11]. With respect to triggering mechanical ventilationwith a pneumatic trigger (flow, pressure or volume), PEEPi acts as a threshold load forcing an increase of the total activation and mechanical effort necessary to trigger the assist , which delays the onset of inspiratory deflections in airway pressure, flow, and volume relative to the neural onset of inspiration. To overcome the problems associated with PEEPi, an external positive pressure can be applied (extrinsic PEEP) in order to counterbalance PEEPi [13, 14]. However, PEEPi varies on a breath-by-breath basis, and titration of extrinsic PEEP is clinically difficult and unreliable in spontaneously breathing subjects [15-17]. Furthermore, excessively applied extrinsic PEEP will produce hyperinflation . In the presence of PEEPi, NAVA can initiate assist without delay, independent ofwhether extrinsic PEEP is applied or not . Leaks in the respiratory circuit are a problem for pneumatically-controlled ventilator systems. In the presence of leaks, pneumatic triggering may cause either false triggering or no triggering depending on the trigger algorithm used [1,19]. Cycling-off of ventilatory assist may frequently malfunction during leaks and control of assist delivery becomes inaccurate . With proportional assist ventilation (PAV), which uses flow and volume in combination with measured constants for elastance and resistance (according to the equation of motion), a leak in the respiratory circuit (unless corrected in the formula) will by definition cause the assist to be un-proportional to the predicted muscle pressure generation (Pmus). NAVA delivers ventilatory assist according to a function continuously calculated from the measured diaphragm electrical activity, where the mechanical ventilator's servo system is continuously adjusting the level of assist, depending on the magnitude of diaphragm electrical activity . The limiting factor for leak compensation is, therefore, the pressure generating capacity of the ventilator. Due to the independence of diaphragm electrical activity from airway pressure, flow and volume, triggering and cycling off with NAVA is not affected by leaks . NAVA as long as the respiratory center, phrenic nerve, neuromuscular junction, and diaphragm fibers are functional and there is no contraindication or limitation to insertion of an esophageal probe or a nasogastric tube. Measurements of diaphragm electrical activity, an electrical signal in the microvolt range, in an electrically noisy environment such as the intensive care unit (ICU), with the electrode located in the electrically active esophagus (peristalsis) and next to the heart, is a challenge. An understanding of thebehavior of esophageal recordings of the diaphragm electrical signal relative to those of non-diaphragmatic origin is a pre-requisite. Electrode configuration/design and signal processing algorithms, such as the double subtraction technique , have made it possible to improve signal to noise ratio to levels suitable for neural control of mechanical ventilation and to account for changes in muscle to electrode distance and electrode filtering [4, 5, 21, 22]. Implementation of custom-designed filters helps to reduce disturbances, and algorithms capable of sensing disturbances are used for their detection and elimination through replacement [5,23,24]. The above, in combination with carefully selected hardware components, (i.e., low noise amplifiers), makes it possible to accurately measure the diaphragm electrical activity in the esophagus with an electrode array. A frequently recurring criticism of the measurement of diaphragm electrical activity with esophageal electrodes during spontaneous breathing is that the signal strength is affected by changes in muscle length and/or lung volume. This critique is based on studies of evoked diaphragm compound muscle action potentials  or outdated methodology that does not control for interelectrode distance . Using appropriate methodology, diaphragm electrical activity obtained during spontaneous breathing is not artifactually influenced by changes in muscle length, chest wall configuration and/or lung volume [7,27]. 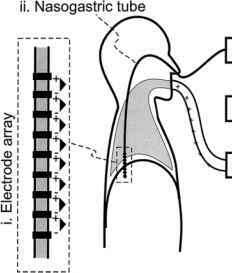 Measurements of diaphragm electrical activity with an esophageal electrode represent signals obtained from a limited region of the activated crural portion of the diaphragm, and therefore the method could be criticized as not being representative of the whole diaphragm. Studies in healthy subjects , patients with chronic obstructive pulmonary disease (COPD) , and patients with acute respiratory failure , however, show that esophageal recordings of diaphragm electrical activity correspond well to both costal diaphragm electrical activity and to estimates representing global diaphragm activation. This is further supported by animal studies [30, 31]. Given that diaphragm electrical activity increases with respiratory impairment [28, 32], one could assume that as the respiratory muscles are activated closer to their maximum, there are fewer "degrees of freedom' with which the crural and costal portions can vary their activation patterns with respect to each other. By overcoming the problems associated with the current technology for ventilator triggering, NAVA should improve patient-ventilator interaction and patient comfort during assisted mechanical ventilation, regardless of patient-ventilator interface and presence of leaks. Since the diaphragm electrical activity increases with the extent of respiratory dysfunction [28, 32], the use of NAVA over current technology should be particularly apparent in patients with the most severe respiratory dysfunction. This would be especially true for pre-term neonates who have high breathing frequencies and very small Vt , and who use uncuffed small bore endotracheal tubes (which result in high system impedance, air leaks and difficulty in reliably measuring flow and volume). A major cause of ventilator induced lung injury (VILI) is regional overdistension of alveoli and airways, caused by excessive lung stretch (volutrauma), which in association with partial lung collapse (atelectrauma) can cause extensive damage to the lungs and initiate inflammatory processes leading to chronic lung injury [34, 35]. Consequently, a preferred strategy for mechanical ventilation is to keep the airways from collapsing and avoid excessive lung volumes. In adult patients, this is usually performed in the context of limiting Vt and limiting plateau pressures. This approach has been successful , but the values chosen for Vt and plateau pressure are somewhat arbitrary. One novel approach is to have the patient's own 'defense mechanisms' limit the degree of lung distension by providing Vt and lung stretch as 'dictated' by the patient by applying NAVA. In this way, the patient's own afferent feedback system would act to limit the degree of lung distention, without the need for arbitrary Vt and pressures . Is the pattern of flowering bottom to top or top to bottom in serere 6A millet? How to optimize nava level in ventilation? How does neurally adjusted ventilatory ventilation overcome airway resistance in servoi? What does the peep on the nava ventilation system need to be to get off of the vent? How to place ng tube in nava ventilator? How does nava ventilation work?